To play a part in safeguarding Singapore's robust economy is no easy feat. This prospect excited Liao Longchuan back when she was contemplating a career in the economic sector. Her excitement coupled with diligent research directed her towards the Monetary Authority of Singapore (MAS), where she would get the chance to help ensure Singapore remains a competitive and progressive financial centre. Longchuan then took up the MAS Undergraduate Scholarship which paved the way for her top-notch education and career opportunity in the organisation. She studied economics at New York University and even came back to do an internship with MAS' Economic Policy Group (EPG) as an undergraduate. "Internships are a good platform for you to try your hand at different roles and learn more about the inner workings of the organisation. This certainly helps you to find an ideal job fit upon graduation," Longchuan shares, recalling the opportunity to conduct two research projects – one on the US Manufacturing sector and another on Trade Theories – and present her findings to the management as an intern. Fast forward many years and Longchuan is an Associate at MAS' Financial Centre Development Department. She oversees a portfolio of UK banks, which entails engaging CEOs and business heads of financial institutions to help them develop their business in Singapore. She also monitors and evaluates global trends and regulatory developments that may impact Singapore's financial sector and its competitiveness. Longchuan admits that the initial learning curve at MAS was steep. Apart from familiarising herself with the organisation's processes, she also had to gain in-depth knowledge of the UK banks under her purview. 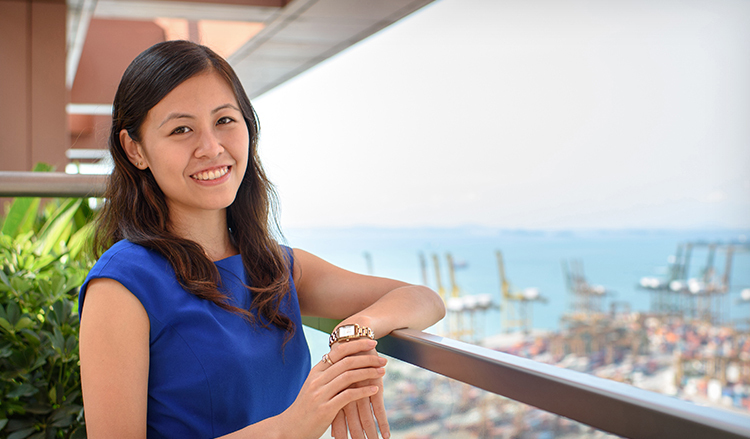 Fortunately, the supportive culture at MAS helped Longchuan acclimatise to her job scope quickly and comfortably. "My teammates are always willing to teach me and answer any of my queries. The collegial environment here is truly refreshing," Longchuan muses. In a bid to foster a learning environment, MAS conducts a range of in-house training courses at the MAS Academy. This includes the MAS Diploma in Central Banking offered to entry-level officers, which introduces young officers to MAS' key functions and enhances their knowledge and skills. Furthermore, senior officers may also take on more advanced programmes that are centred on functional training, coaching and leadership! With such learning opportunities in place, one should not stop the MAS scholarship in their tracks even if they have minimal economics or finance knowledge. In fact, Longchuan herself tells us candidly that she did not study economics in Junior College! She imparts some advice to those contemplating the MAS scholarship, "Knowledge can always be acquired along the way. What matters is having an analytical mind and a willingness to learn. With that said, you should definitely have a keen desire to serve the public and contribute to shaping Singapore's economy."